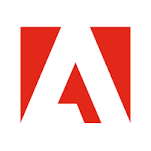 Adobe Systems Incorporated which is an American Multinational computer software company is founded on December 1982, by john Warnock, Charles Geschke. It's Headquarters is in San Jose, California. Strong Windows and OS fundamentals. Mac OS experience will be an added advantage. B.Tech - Computer Science with 0 - 4 years' experience in Desktop and Enterprise / Cloud products or applications is preferred. Work with a globally distributed engineering team to design and implement robust web service APIs within our provisioning tools platform that are used by a variety of client applications. Gather Technical requirements from multiple sources and improve on existing strategy. Maintain existing tool codebase in PHP and convert it into new Java-based web services.